Swati Youth Dance is a group of young talented dance students in the age group of 14 to 21 years who are provided intensive dance training and mentoring by Swati Dance Company with an aim to develop them as the next generation professionals in the Northwest region of England and beyond. The Youth Group receives high quality intensive dance training and mentoring from the Artistic Director of the Company, Dr Swati Raut and other visiting dance professionals. The intensive training helps the group to strengthen their dance technique, choreographic and performance skills. 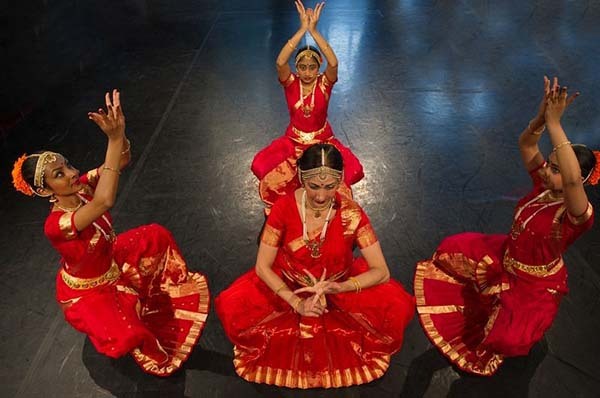 Using the vocabulary of Bharatanatyam, the group will contribute their own ideas in developing a choreographic piece using contemporary themes such as, dance and digital technology, dance and poetry, dance and mathematical numbers, which will improve their creativity. The Youth Group will have opportunity to showcase these skills at professional venues and at community events. Swati Youth Dance has been made possible with funding from the Grants for the Arts – Arts Council England! This performance is a part of the grand finale of U.Dance 2014, presenting a vibrant range of youth dance work and featuring two special elements of the festival for 2014.